When you first open AcuGraph, it opens in Secure Mode. Secure Mode is HIPAA compliant and doesn’t show any personal health information. If you’re in a safe place and there’s no prying eyes around, you can click to show all patients for your management and staffing needs. 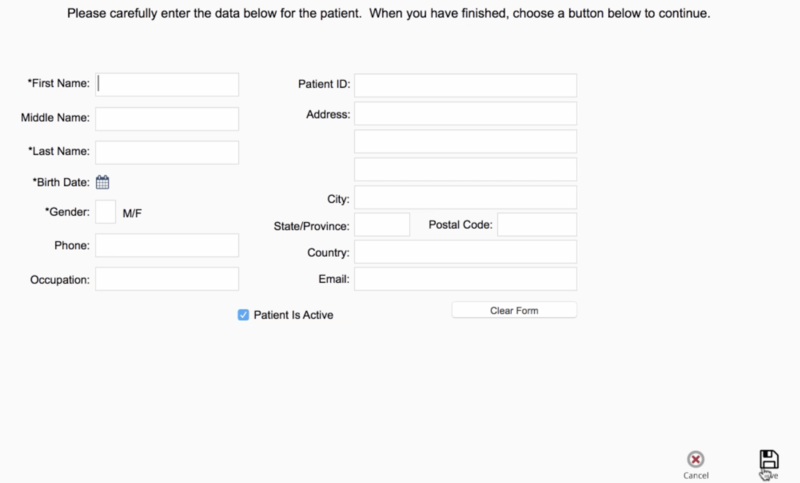 Click again to hide all the patient records, returning to Secure Mode, thus, maintaining the confidentiality of your records. To find a patient, whether you are in Secure Mode or not, you can simply search for the correct patient. In the search bar, type the name of the patient and watch as the number of results is updated in real time. 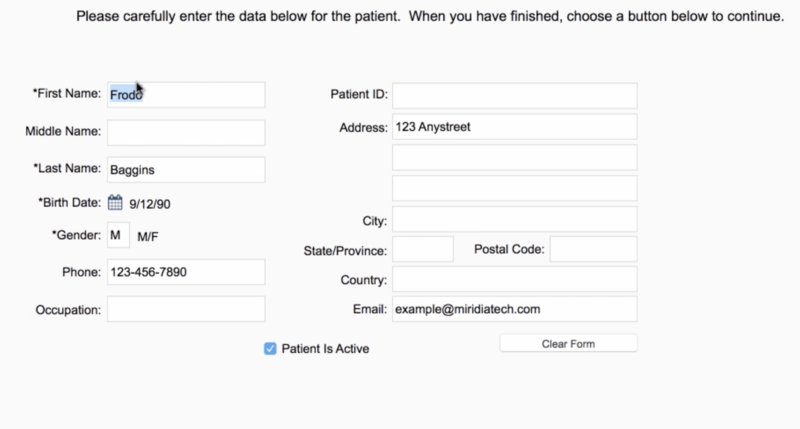 When you only have 1 patient remaining as a possible result from your search, that patient will automatically show in the patient list. To add a new patient, click on “Add New Patient”. Fill out the information in the fields paying special attention to the required fields denoted by asterisk [*]. When you add email, it allows you to email the results and graphs to your patient. This is highly recommended and significantly reduces the amount of printing you will do. When you’re done filling out the fields, click “save” and your new patient is added to your patient database. When you are in the “Show All” mode for your patient list, you can sort your patients a couple of different ways. You can sort by “Last Name” which is set by default. To sort another way, simply click on the top of the column you would like to use for your sort. Click again to sort by the same column in reverse order. 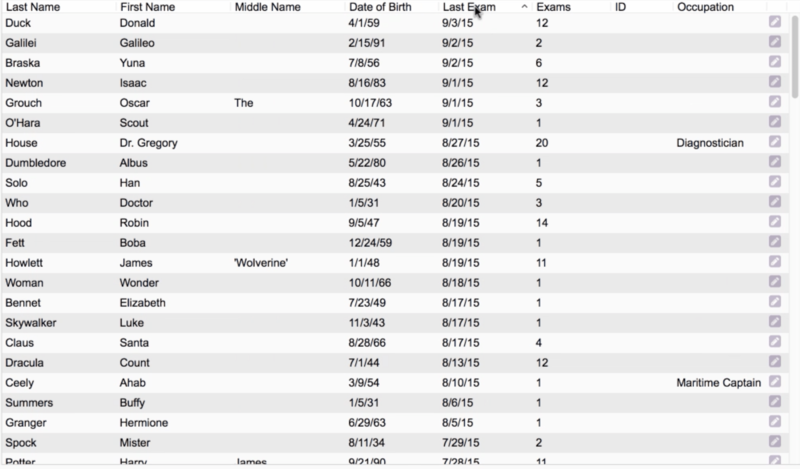 Perhaps the most popular way to sort patients is by “Last Exam” which puts the patient with the most recently added graph at the top of the list. Sorting the way that is most natural for you will help you find the patients you are looking for easily, while scrolling through the patient list. If you want to edit one of your existing patients, just click the pencil icon at the far right of the row for that patient. This will open the Edit Patient window where you can update or add in the new information. 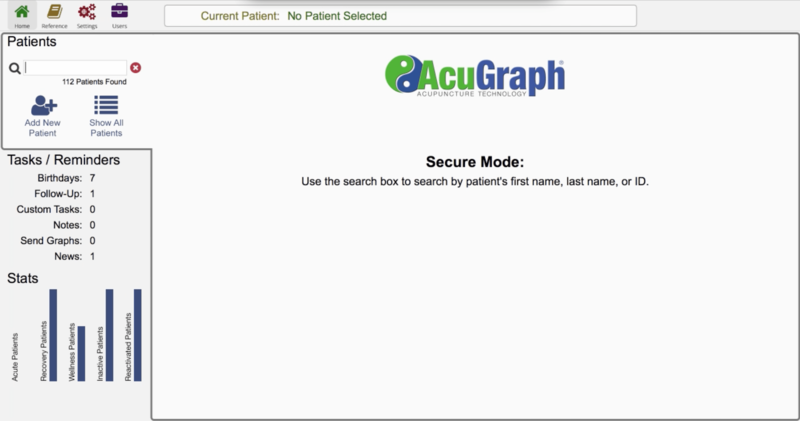 So, as you can see, patient management is very simple and powerful in AcuGraph 5! It is quite helpful in running the acugraph5 effectively and conveniently!